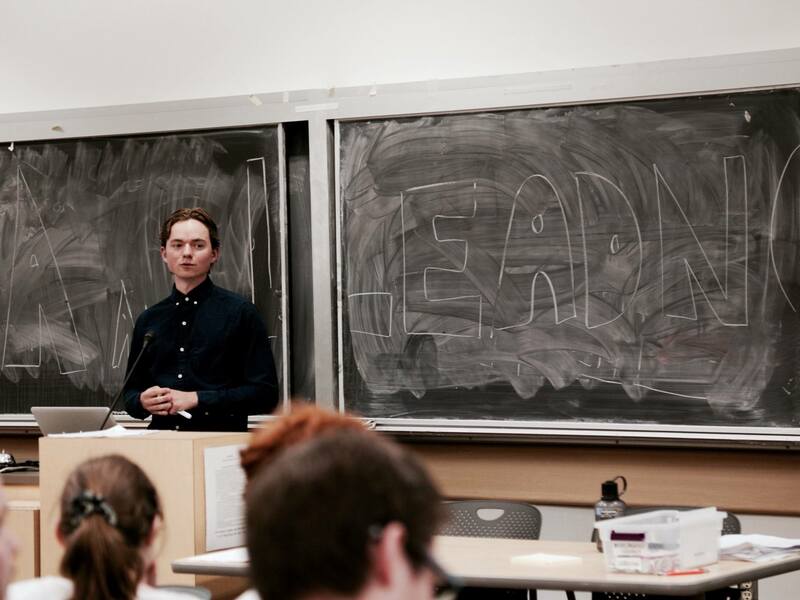 PSSA President, Benjamin Foster, at the Lead Now Town Hall on Electoral Reform Sept. 27th, 2016 for undergraduate students. The academic and social activities organized by the Political Science Students’ Asssociation (PSSA) are important informal components of the Major and Honours Programs in Political Science. The PSSA is operated entirely by students and is recognized by the Department as officially representing undergraduates. PSSA meetings and activities are advertised by posters and by notices on the Undergraduate Notice Board near the Department Office. Students are encouraged to join and participate in the PSSA. For more information please contact pssa.ubc@gmail.com or visit their website at www.ubcpssa.com.